Hello again. Well as I am sure everybody must know by now, it has been rather an amazing week here in Canberra. I would like to personally thank all of the many newsletter list members who have sent us e-mails enquiring about our well being. In this newsletter we have the release of the test site for the new version of the website, Chassis numbers explained, a rap up of the fire tragedy, news of a workshop open night and all the other usual stuff. On Tuesday the 11th of February we will be holding a Workshop open night in conjunction with the Mercedes-Benz Club of the ACT starting at 6.00pm with a sausage sizzle, with the main presentation starting at 7.00pm. This will be the seventh year we have run this very popular event and I would recommend it to any of you who have not attended before. We will be running a demonstration of our new Carsoft diagnostic system and some other interesting displays. Apart from that you get free beer (or soft drink) and a chance to talk cars with other Mercedes fanatics! A few months ago the following article appeared in the Mercedes-Benz Club of the ACT monthly newsletter called STAR ACT. It was written by Lindsay Miller with input from many sources, including myself. Lindsay Miller is the customer who owns the 220a that was featured in Newsletter number 38. As it is a two part article, we will feature the second part in our next newsletter. My article 'Mysterious Models' in the March 2002 edition of Star ACT set out to explain, as best I could, passenger car model designations. At that time I mentioned that there had been previous articles on the Mercedes-Benz engine and chassis numbering systems. Some members, from this and other clubs, have since said, however, that such an article would be useful again and asked me if one could be provided. Previous articles which I have seen in our Australian club magazines have clearly relied on US writings which, although very well put together, have in part described numbering systems applicable only to the North American Free Trade Area (NAFTA). Thus, some inappropriate information has been circulated. Not only do we now need to correct this and step away from the US scene, thereby catering for Australian readership, we also have to deal with some 'grey areas' that have become apparent. The article which follows is essentially structured on the earlier American articles, because they are too good to ignore, but I have varied the layout, focussed on some particular issues and added some local conclusions. Please note that it deals with post 1945 manufacture only; pre war systems are another subject! 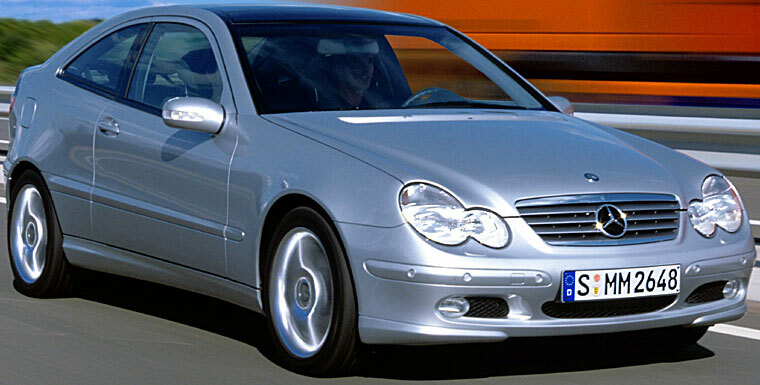 During the period covered by this article, at least five different engine and chassis numbering systems have been employed on Mercedes-Benz cars. And you need to appreciate that this subject gains complexity as we progress. So this article is broken into two Parts, to keep our editor happy! You should see Part Two in next month's Star ACT. Let's start with something easy. If you're looking at an unfamiliar number, for a car built between 1946 and 1983, recognising it either as a chassis or a engine number is simple - because in the chassis numbers the fourth digit will be 0 or 1, while in the engine numbers it is always a 9. Both chassis and engine numbers from 1946 to 1950 always had eleven digits. These identified the vehicle's Type, Fuel type / Model style, and then serial number. Type: the first three chassis digits give the body type or series - ie the W number, eg W136 (the 170 series cars, 1946 to 1955). The second and third engine digits identify the engine type. Model: for the chassis, these two digits identify the body variants saloon, saloon with sunroof, coupe, cabriolet (A or B) or special version, such as ambulance, van, police car, etc. For example, a W136 170S Cabriolet A has the chassis digits '42' whereas a Cabriolet B of that series has the chassis digits '43', a saloon would have chassis digits '10' (as in the diagram example), '40' or '60' and a saloon with sunroof would have '49', or '72' depending on the model variant. For the engine, these three digits give model variations, for power output, etc. For example, a 136.920 engine (as in the diagram example) puts out 38 hp and is found in a 170V saloon, whereas a 136.922 engine puts out 52 hp and is found in 170S and Sb saloons and 170S Cabriolets A and B. Fuel type and serial numbers: I think these are self explanatory in the diagram. For 1951 and 1952 cars, the production year was added, making thirteen digits. Type: Cars that fall into this era include the W136 (dealt with above), the W191 (still a 170 series type but with subtle differences from the W136), the W187 (the six-cylinder 220 series cars 1951 to 1955, preceding the Roundie) and the early W186 and W188 (300 series limousines, coupes and cabriolets). 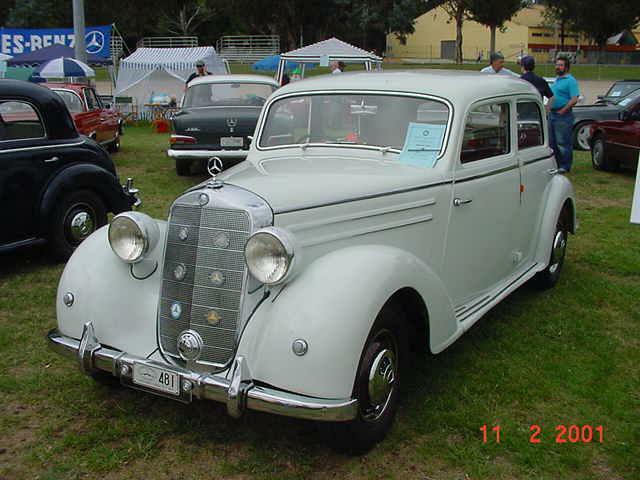 Model: Additional chassis model codes came with these cars: For the W191, these included '18' to identify the 170Sb saloon with sunroof while the 170DS saloon with sunroof has the code '13'. So the plot thickens - variants do not necessarily have the same codes, even within one Type! In the engine department, the W191 170DS came with the numbers 636.918. Astute readers will recognise a diesel engine! From 1953 to 1959, thirteen digits were retained, the production year digits were reversed, and code letters were added for clutch and transmission types but only in those models which offered the optional Hydrak hydraulic clutch. These clutch / transmission code letters were N for a manual gearbox and Z for a Hydrak see diagram. Also, an 'R' was introduced to indicate right hand drive - but that is one of our' grey areas' with which I will deal soon! The text which I have shown in the paragraph above in bold requires some explanation. First, the 'N' and 'Z'. This was the era of the Roundie, for which the optional Hydrak 'semi automatic' clutch was introduced. The only Roundies available with the Hydrak were the 220S and 220SE models, ie from late1956 and 1957 onwards. The earlier six cylinder cars (the 220a, 1954 1956) and all the four cylinder cars (the 180 and 190 series 1953 62) came with manual clutches only. 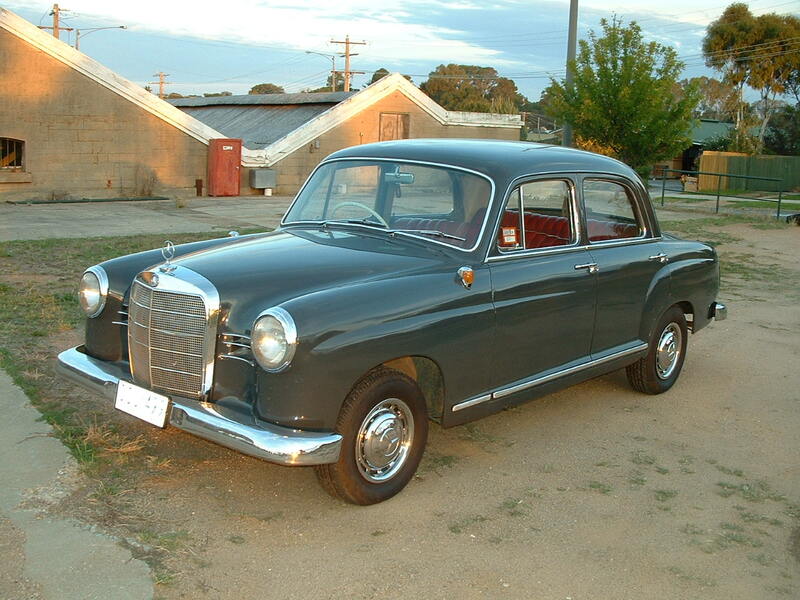 My 1955 220a, still with its original engine, has the chassis number R180 010 55 01249 and engine number 180 921 55 01247. My spare 220a engine, identifiable as such by its double side plates and its year, is numbered 180 921 45 03697. I also have a spare 220a engine block, the number of which is 180 921 55 13431. My friends 1958 180D has the chassis number R120 110 85 11854 and engine number 636 930 85 12073. Note the absences of the 'N' code in these examples! I have seen others which continue this trend. On the other hand, I know of a 1958 220S Hydrak saloon, a rare model with a full fabric sunroof, it is a good conforming example. It is the chassis number specified in the diagram above. An other friends spare 220S engine, numbered R180 924 Z 85 05012, conforms to the system 'rules' as stated. I too have a spare 220S engine, numbered R 180 924 Z 85 04907, also conforming to the system 'rules'. My conclusion is that only the Types and Models that offered the optional clutch and transmission were given these N and Z codes, ie the 220S and 220SE. Hence those bold words above. I think my conclusion is correct, but if anyone knows differently, I'd like to hear about it. The second 'grey area' is with the R for Right Hand Drive. The 'rule', as stated by various writers including James Taylor in his book "The Mercedes-Benz since 1945 Volume 1", is that 'R' is used for RHD cars only, and LHD cars have no identifying prefix. But there are numerous examples that depart from this agreeably logical 'rule'. First, the engine: There is no 'R' on our 220a's original engine (although this 'R' is shown on the car's 'data sheet'!). My spare 220a engine and the spare 220a block also lack the 'R', as does the 180D engine. Contrary to this trend, however, the engine of John Green's 1954 300b has the number R186 920 45 01015! Second, the chassis: Our 220a chassis is clearly marked 'R', as is the 180D, but others are not. In summary, its a nice sounding rule, but if you have the 'R' in your numbers, consider yourself lucky! There is a third 'grey area', affecting some cars built in 1958/159, but I need to cover the 1960-83 era before dealing with it and explaining the conclusions that several of us have reached with the help of people at company headquarters in Melbourne. So that will be in Part Two next month. Some members with cars of the 1953-59 era may wonder about another number displayed on their pride and joy looking like a chassis number but with an 'A' prior to the digits. For example, our 220a displays RA180 010 55 00050 on the left inner front guard inside the engine bay and on a metal placard on the 'A' pillar. This number is also on the car's data sheet. In German, it's the "Aufbau/Vorbau', and my schoolboy German suggests to me that the number is a body construction number or production line identifier. Another example. a 220S has the body number RA 180 010 75 00949. As this 'body number' is not used for registration purposes, the main point about it would be to not confuse it with your chassis number. Type: Clearly, our Club is not short of cars of this era. Not only do we have Roundies, both four cylinder (W120 and W121) and six cylinder (W180) varieties, but there are also 170SD (W136) and 300b (W186) cars. We are also graced periodically with the presence of a local 1953 220 saloon (W187). Model: Roundie chassis model variants include '00' (ambulance), '10' (saloon), '11'(saloon with sunroof), '40' (190SL coupe), '42' (190SL roadster), '30' (220S/SE cabriolet) and '37' (220S/SE coupe). The '40' and '42' also identified the W198 300SL ('Gullwing') coupe and roadster which hit the roads during this period (with '43' identifying the 29 'Gullwing' coupes built with aluminium alloy body shells for sporting events). 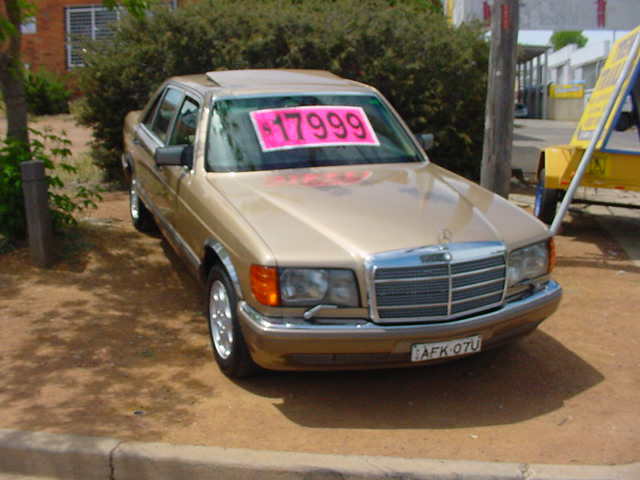 A 170SD saloon has the body variant code '81'. Remember, model codes were not always consistent across Types! This ends Part One next month's Star ACT will finish the story. Ok, here it is guys. If you click here, you will get to see the test site for the new version of the website. Please do not try to buy anything or sign up on the subscriptions page. It is very much in the developing phase at this stage. There is not much on it yet, but you should get a feel for what it will look like. Don't worry, all the back issues of the newsletter and the other information articles will be copied across. Please feel free to offer what ever praise or criticism you like by e-mail to me. Link of the week is a rather sombre one this time. If you click here, you will see a selection of sites that have pictures from the terrible bush fires. If you have a look at the photos taken from Jerrabomberra (where I live) you will get some idea of how incredibly dark it was at 4o'clock in the afternoon. As you can imagine, it was rather scary as we had no idea just how close the fire was. We brought a 280SEL W116 sedan this last week, bit ratty but it has a great engine in it. I know this as we reconditioned it about 4 years ago. It has done 120000kms since. Another amazing few weeks worth of car sales. The white 230e came in and was sold within a hour of it arriving! We have also had a beautiful 1990 260E and a 380SEC with only 119000kms come and go almost as fast. The 190E has also been sold. We have another C180, a 260E, and a 300E-24 coming and should be here by the time this newsletter is published. One of the features of the new website will be that we will be able to update the site daily with these cars so that you don't find out they were sold before you got to hear about them!